Farm work: Is it hard finding labor? | MICHIGAN GROWN. MICHIGAN GREAT. As a specialty crop farmer in Michigan, the most critical aspect for me is ag labor above all other challenges in this industry. 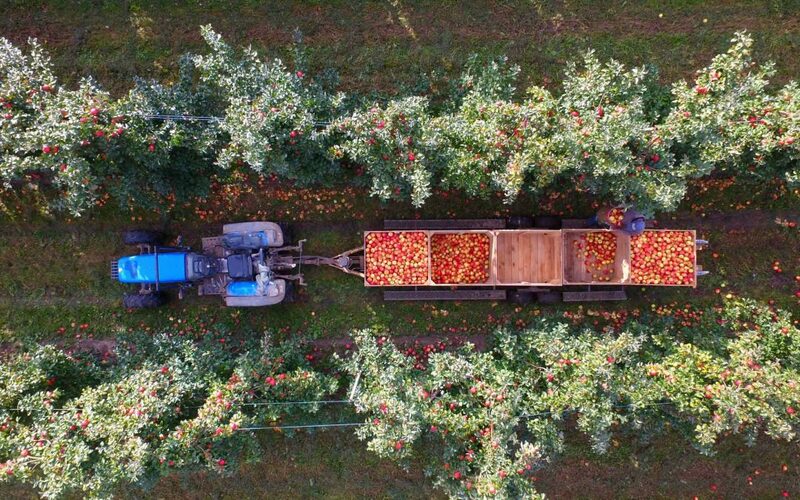 There are currently no fully automatic robotic harvesters commercially available for apple farmers (though they are working on them). Aside from when legitimate and functional harvesters do become available for our industry, a grower will need to have certain orchard system specifications (row spacing, tree spacing, tree structure) in order for harvesters to be useable. Farmers must plan and adapt now with new orchard plantings to be able to alleviate the current pressures, issues, and problems with ag labor. 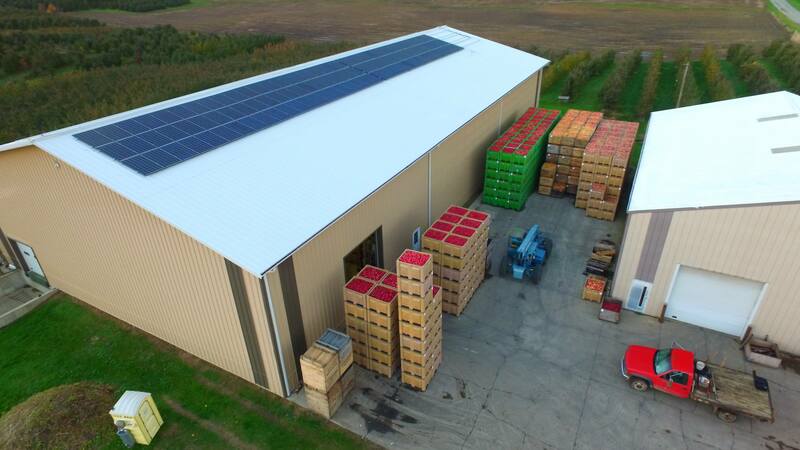 Over the past two decades, labor has been an increasing concern for the fruit & specialty crop farmers in Michigan. One of the key indicators has been the ever-increasing number of farmers who have either contracted H2A workers through third party H2A managers or who have brought in H2A workers through Farm Bureau’s Great Lakes Agricultural Labor Services LLC. Farmers need to guarantee that food does not rot in fields, and for some businesses like mine, harvest timing is critical for good long-term storage and fruit quality. Ensuring that farmers have enough labor to harvest products at the right time is of the upmost importance. Apple farmers learned this in 2013 after the freeze in 2012 when Michigan lost our entire apple crop. Many farmers had to call workers and tell them to not bother even traveling to Michigan that year. That lapse of work sent workers either into other industries for jobs, or other states where there was a crop to harvest. As a result, former workers either stayed in the other industries where they started working because of 2012’s freeze or returned to the farms where they went in 2012. Some workers returned in 2013, but labor was a major issue. Farmers sought anybody they could find to work in the orchards to bring in the harvest, and as a result, quality seriously suffered, some fruit wasn’t harvested, and it signaled alarm bells for many. This has driven the change from local and domestic labor towards H2A programs. Local and domestic workforce populations have been on the decline. Personally, I’ve seen that the ag labor workforce has aged as newer younger workers have decreased in frequency and many have left the agricultural workforce. All these factors have been exacerbating the labor issue for our industry, and it seems that the two options to remedy the situation are more mechanization of processes, harvest, etc., and bringing in foreign-born workers on temporary work visas during harvest. A skilled, well-trained, and reliable workforce is necessary to continue business growth and ensure high quality in our food system. 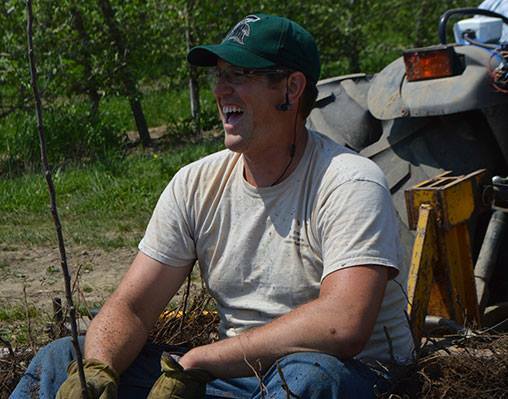 Nick Schweitzer is a fifth-generation farmer who manages more than 200 acres of apples and some pears with his father. Nick graduated from Grand Valley State University with a BBA in International Business & Economics and BA in Spanish. He and his wife, Renee, are active in Farm Bureau, and Renee is an agriscience teacher at Newaygo County Tech Center.